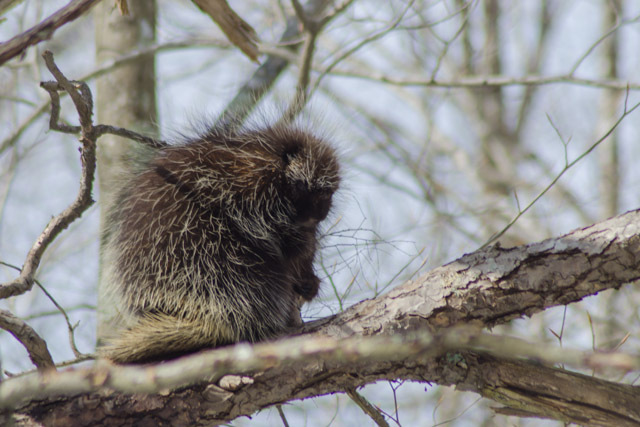 We came upon this porcupine high up in a tree last week. He appeared quite groggy and a bit confused. This winter’s weather will do that to you. 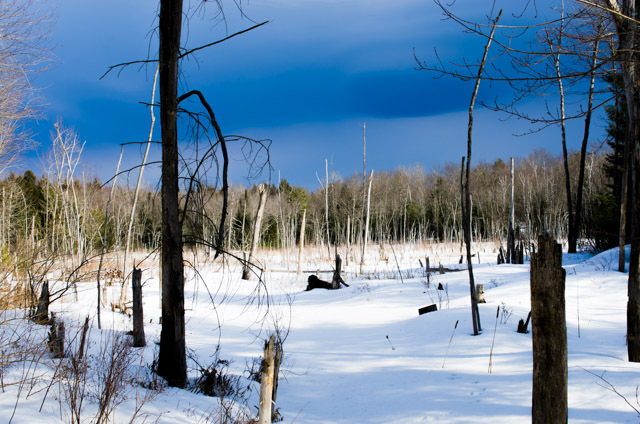 The beaver bog gets ready for another batch of cold air and more lessons in natural chemistry: every phase of water you can think up. 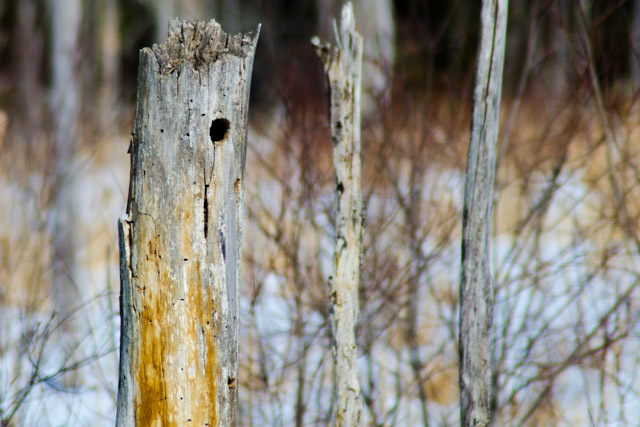 I have discovered these almost perfectly round holes in dead trees are the front doors of nests and homes of various birds like flickers and woodpeckers.